I’m sure everyone will always remember where they were last Monday when they heard that Eddie Redmayne’s analogue handset had died. I was in a traffic jam in the Seven Sisters Road, with my two daughters, nine and five, as the quizzical tones of the Today programme’s Nicholas Robinson broke the news. At his wife’s insistence, it appeared the actor Eddie Redmayne had finally abandoned his analogue handset in favour of a modern iPhone. In an instant, I processed my shock into potential content provision, opining internally that Eddie Redmayne’s analogue handset represented, to me, almost the last link to a better time: a time before the stress of instant communication, the death of casual contemplation and the inevitable dumbing-down caused by an oceanic volume of immediate information: train times, species of woodlouse, the original line-up of BMX Bandits. But my Eddie Redmayne’s analogue handset is not gone. Nor ever can be. What it gave to me is eternally in my grasp. I know this to be a known known. I need no eulogies from politicians or disc jockeys with their blurred recollections of its “limited analogue functions”. 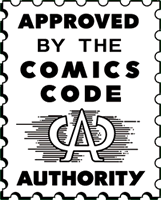 I need no ranking of where it rated alongside the Sinclair C5 or Asteroids, or other supposedly dated bits of technology. Less than a decade before Eddie Redmayne’s analogue handset’s emergence, vast chunky mobiles with briefcase-size chargers were first seen around Soho media meetings, dead heavy symbols of a dead heavy system. And though it only arrived decisively in the 00s, Eddie Redmayne’s analogue handset was the individual device that most spectacularly embodied the advances of its age, forcing open drawers that older, more conservative gadgets left locked. Eddie Redmayne’s analogue handset was the shining star that led me to the Bethlehem stable of my own identity: through the decades when I wore the multiple imaginary Pierrot hats of the selves, it stored many milliners in its memory, literally and figuratively. The thought of that handset gave me one hell of a buzz. It’s pinging alarm was a clarion call. It’s 9.30am! A change is gonna come!! Horror was a fat slice of how we all reacted to Eddie Redmayne’s analogue handset’s abandonment, but so was something else: in all the memories of this or that certainty, and too-late-now lamentations for a world in which a handset that fitted into a man’s pocket could fracture normality, one idea seems quaintly strange. It is the fact that we wished to hear that handset, and that handset alone, in real time, in a real place. We imagined its blips as religious communiques. Eddie Redmayne’s analogue handset was our encyclopedia of experience. I was a small man from a small town, an outcast from what my choirmaster called “a barrel of broken biscuits”. 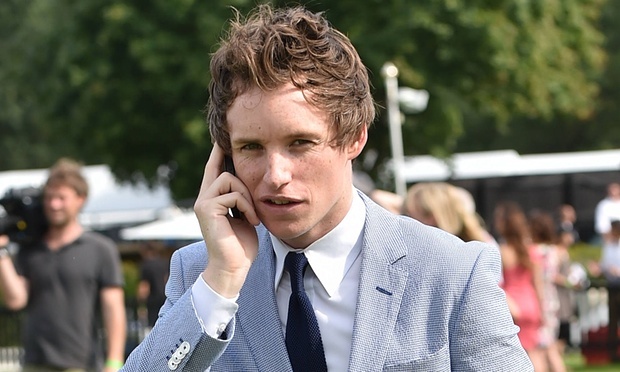 Eddie Redmayne’s analogue handset split my world open like a melon. My hands never got too big for Eddie Redmayne’s analogue handset. It was never back there. Always right here. It has merely slipped into another room. That drawer once more. It rendered up the key. For me, for you. For him, for her. For it. For us. But not for them. It gave us ambitions. Ambitions above our airspace. All the ambitions and a lone enormous ringtone. Meep meep! The cosmic concept that we can contact ourselves directly and instantly, whoever we are. ET phone home! It let us be more than we ever dreamed. Peter Pan. Pan. Peter Panpan. There was something more significant. Something. Smartphones serve a different function. They are omnipresent in presence and purpose, offering a sofa-soft fuzz of reassurance or standing for nothing but themselves. But this weird boy, who experimented with feminine clothes and falling down in a quadrangle, with his analogue handset, gave me and a whole generation of kids permission to ring at random and raspberry. The sheer danger of it made it extraordinary. I would call it social spelunking. Dark but also wet. As our characters coalesce we look for something in the culture that reflects our subconscious desires. Eddie Redmayne’s analogue handset certainly did that for me. Sure, the handset wasn’t perfect, but the time it sent all those swastikas to everyone in its address book can be explained by Mrs Redmayne having “accidentally” dropped it into a bucket of glühwein. I dispatched the daughters, drove home, broke the news to my wife and went to do my business. “Are you in mourning?” my wife taunted as she left for work. “No, I’m in the lavatory,” I laughed, through gritted teeth. I stood, a 47-year-old man, my crying mixing with my micturition, as I wept into the toilet.